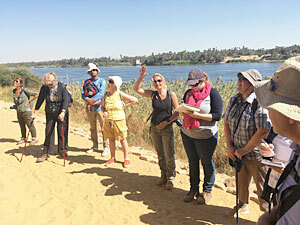 A NEW course taught in Aswan and on a Lake Nasser cruise by one of THE experts on Nubia, with daily lectures and exploration of relevant ancient sites. 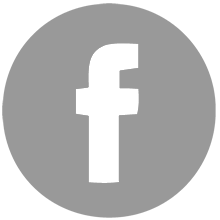 A series of ten lectures on the complex relationship between Egypt and Nubia in ancient times, and on the writings by travellers to Nubia up until the 20th Century. 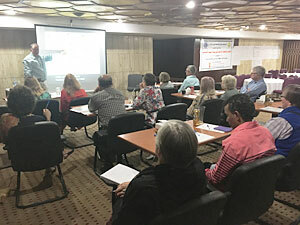 Teaching by Dr Robert Morkot, a respected Egyptologist, Senior Lecturer at the University of Exeter, expert on Nubia, and author of The Black Pharaohs, Egypt's Nubian Rulers and Nubia: a journey through a drowned land (forthcoming). 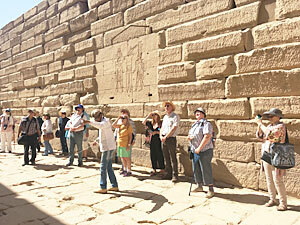 A carefully-considered programme of site visits to complement the varied lecture programme, including the temples and other ancient monuments relocated to save them from Lake Nasser. 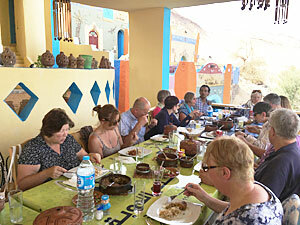 Busy, exciting days with time to relax at our wonderfully-located hotel in Aswan, and on our luxury cruise boat on Lake Nasser. 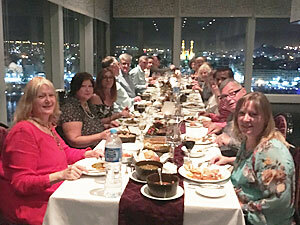 Plenty of time to socialise with Robert Morkot and fellow participants, for example over meals (all but one of which are included group meals). Course Coordination by BSS Co-Director Lucia Gahlin, who will accompany the group throughout. 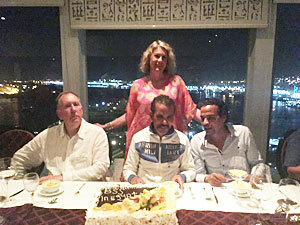 Tour Coordination in Egypt by Galal Alsenusy who has arranged all our BSS in Egypt courses to date. 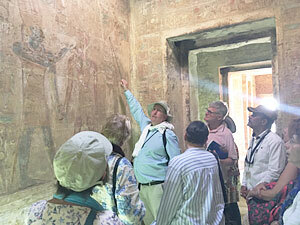 Combining lectures and site visits in Aswan and on the shores of Lake Nasser, we bring you a vivid exploration of the complex relationship between Egypt and Nubia throughout ancient times, but particularly during the New Kingdom and Ptolemaic-Roman periods. We will find that the Nubian temples reveal much about the development of Egyptian theology during the New Kingdom, as well as the changing political situation and Egyptian imperialism. 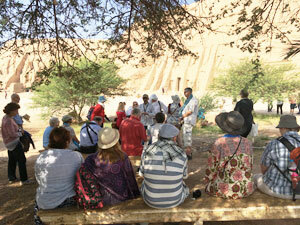 This course will consider the importance of Nubia to Egypt, and the influence of Egypt on Nubia. 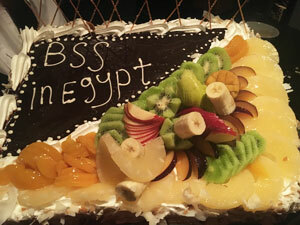 This will be the first time BSS has included a cruise on Lake Nasser in a ‘BSS in Egypt’ course. 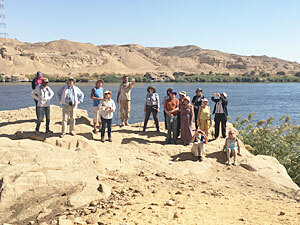 We will consider what Nubia – both ancient and pre-High Dam – looked like. Fortunately we have many travel narratives, extending from the straightforward observations of John Lewis Burckhardt to the purple prose of Amelia Edwards. These narratives are supplemented by the numerous graffiti left by travellers – again spanning ancient and modern worlds: we can see the Greek inscriptions on the colossi of Abu Simbel from the time of Psamtik II's campaign (593 BC), and the graffiti of 19th century scholars and tourists, and the military expeditions to the 'Soodan'. 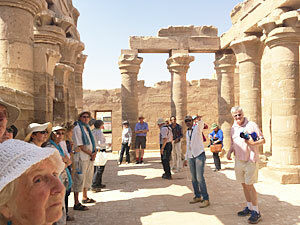 This course will draw together a wide range of sources to create a picture of Nubia, ancient and more modern. 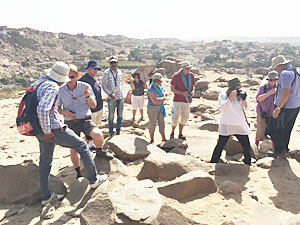 Fly from Aswan via Cairo to Heathrow.